The Nautilus Rolling Shutter System is easily the highest quality rolling shutters you can find in White City. That is because they are manufactured with precision using only the best materials, including a super powerful extruded aluminum. 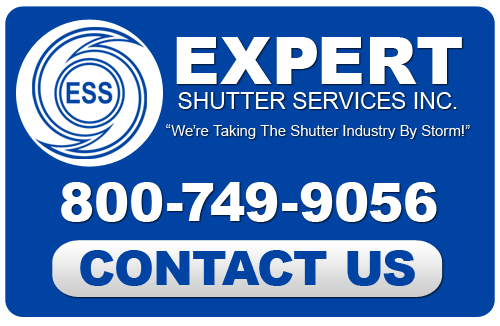 Expert Shutter Services has been manufacturing these superior hurricane shutters since 1986. We put them through the most rigorous forced entry and impact testing of anybody in the industry to ensure that your property is protected like no other. Our Nautilus System rolls into a compact roll of only a few inches, making it the smallest and lightest hurricane shutter system available. While it is small, it packs an incredible amount of power. These shutters are missile impact tested and the way the slats overlap each other creates an impenetrable shield against any flying debris or criminal activity. 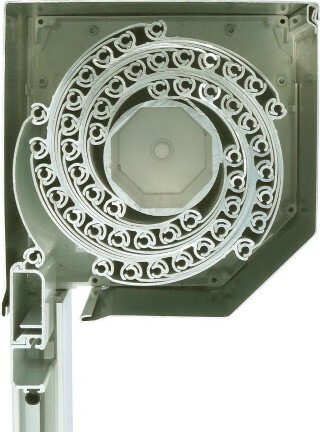 The Nautilus System easily installs on the outside of your windows or doors, and opens and closes effortlessly. It is super durable and will last for years to come, providing you with maximum protection from hurricanes as well as security. That is why Expert Shutter Services is the number one choice in White City for hurricane shutters. The primary attraction to colonial shutters is the fact that they retain their aesthetic appeal. Colonial shutters hinge to the exterior of your windows on the outsides so they swing inward when in use and outward when not. When not in use they offer an unobstructed view through the window while beautifully framing it with the classic and elegant look of traditional exterior shutters. When in use they simply close and latch, creating a powerful shield against flying storm debris even in the worst of weather. At Expert Shutter Services, our colonial shutter selection comes in virtually all colors. Your customization options are endless as we can match any design with a wide array of bright and vibrant colors or more even earth tones. We also offer a variety of styles and shapes, for colonial shutters with rounded tops or flat edges. Whatever works best with your exterior, we have the right colonial shutters for you. Your windows will look beautifully dressed, but most importantly, they will be fortified from high velocity flying debris. This could save you money and hassle during the next big storm. If you would like more information on how colonial shutters can enhance your design while also protecting your property, call Expert Shutter Services for an estimate today. Bahama shutters are multi-functional in that they protect your windows from storm damage but also function like normal shutters giving you light control. These shutters hinge at the top of your window’s exterior and prop outward like an awning. This provides shades while the louvers give further control over natural light. Whenever in use, the Bahama shutters are closed and secure to the exterior of your window. 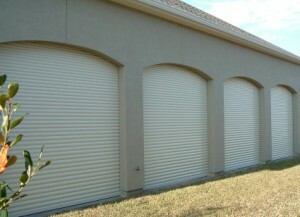 With the louvers shut, these shutters offer fantastic protection against storm debris and high velocity winds. If you are looking for a White City Hurricane Shutter Company then please call 772-871-1915 or complete our online request form.